ONLY 2 LEFT! 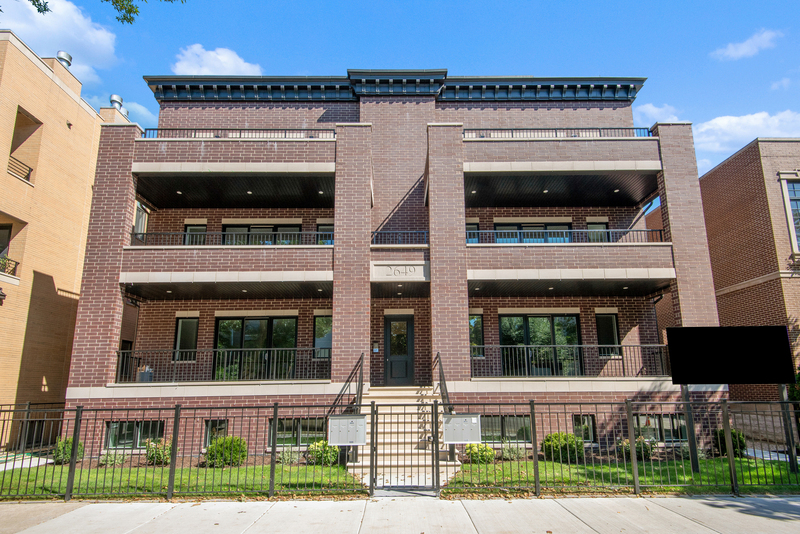 - OUTSTANDING NEW CONSTRUCTION IN THE PERFECT LINCOLN PARK LOCATION. THIS EXTRA-WIDE DEVELOPMENT SPANS 3 FULL CITY LOTS ALLOWING FOR A RARE & EXPANSIVE 28FT WIDE FLOOR PLAN AND FEATURES AN INCREDIBLE FULL BRICK AND LIMESTONE FACADE. JUST STEPS TO JONQUIL PARK & THE DIVERSEY L. UNMATCHED FINISHES INCLUDE CUSTOM CABINETRY, WIDE PLANK OAK FLOORING, 10FT KITCHEN ISLAND WITH BREAKFAST BAR, 8" SOLID CORE INTERIOR DOORS, OVERSIZED CROWN MOLDING, SUBZERO/WOLF APPLIANCES, WIRED FOR SOUND, BEAUTIFULLY DETAILED MARBLE & PORCELAIN BATH WITH STEAM SHOWER AND HEATED FLOORS. SUBSTANTIAL OUTDOOR SPACE INCLUDES A PRIVATE 26X8 DECK LOCATED OFF THE MAIN LIVING AREA WITH GAS LINE FOR GRILLING AND A PRIVATE ROOF DECK WITH PANORAMIC CITY VIEWS (ROOF DECK HAS GAS, WATER, SOUND WIRING & IS PREWIRED FOR TV)! GARAGE PARKING INCLUDED IN PRICE. THE PROPERTY IS WALKABLE - 30 DAY DELIVERY. Directions DIVERSEY EAST/WEST TO RACINE, SOUTH TO 2649. Property information last modified by seller on Monday, March 25, 2019, 05:33 PM CDT. Information Deemed Reliable But Not Guaranteed. Unauthorized duplication, use, or linkage is prohibited. The information on this web site is for personal, non-commercial use and may not be used for any purpose other than to identify prospective properties consumers may be interested in purchasing. Monthly Payment Calculator results are for illustrative purposes only, not a financing opportunity; calculations assume a 30-year fixed-rate mortgage and do not include closing and other costs. Property Tax on NEW properties is estimated at 1.5% of Listing Price for payment calculation purposes; actual value may be higher or lower.